Situated in Tasman Village by the Moutere Inlet on the Ruby Coast Scenic Route we are in the heart of Tasman's orchards, vineyards, olive groves, artisans and artists. Only 2.5 kms to the unspoiled Kina beach and peninsula. Our comfortable air conditioned Studio has a free movie library, very fast unlimited Broadband/Wi-Fi at 35 - 40 Mbps, Roku3 streaming TV featuring Netflix etc. USA local news channels and Sky News. Suitable for 2 adults, there is no minimum stay. Complimentary tea, coffee always available, fresh milk will be in the fridge on arrival, chocolate too! Off road parking and patio with table and chairs. Nearby attractions include The Jester House Cafe and tame eels - NZ's best cafe of 2013/14, The Tasman Store and The Grind Cafe for excellent coffee, JointWorks for fine weaving and cabinet making. Local artists include Jane's Art Studio, Darryl Frost's Playing With Fire and the Fullmer Gallery. Local wineries are Kina Cliffs, Kina Beach and Blackenbrook. The Tasman Golf Course is only 3 kms and Mapua with a ferry to Rabbit Island (fantastic beach) is 10 minutes along the Ruby Coast Scenic Route. It's all here, all year, for your home away from home holiday. All photographs are taken locally by the owner. Close to local artists artisans and vineyards. Tasman Golf Course 3 kms away. If I could give it six stars I would! If I could give it six stars I would! Best place we stayed in the country! Already planning a return trip so we can come back to Tasman! Just splendid! Great accommodation 5 star little studio. Great accommodation 5 star little studio. Comfy bed with quality linen. Everything is provided for a short or longer term stay. Nice touches and well thought out. Thanks for all the information on what to do in the local area. We will be back in the near future. We thoroughly enjoyed our stay, The unit has everything you need and more. We thoroughly enjoyed our stay, The unit has everything you need and more. It was clean and presented beautifully (better than some expensive hotels we have stayed in). The use of their bikes gave us a fantastic day out exploring. We will be back and highly recommend others to stay here also. 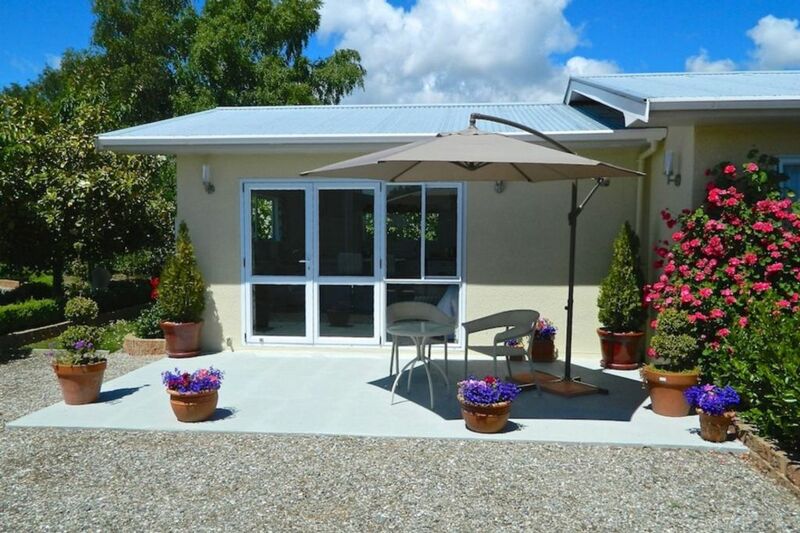 We look forward to returning and will absolutely recommend to anyone looking for a very comfortable accomodation with a great location in the Tasman area. Great to meet you and thank you for leaving our Studio so wonderfully clean. Anyone considering setting up home-based accommodation should spend a couple of days at Tasman Green. This is exemplary accommodation. We had a wonderful time. Great accomodation! Thank you very much. Thank you very much for your very kind comments. It was a pleasure to meet you both and we really hope to see you again in the future.